Christmas is less than two weeks away! While you may be focused on the list of things to get done before Christmas like gift giving and planning that holiday party, you may also be thinking about 2018 and New Years' Resolutions. The most popular resolution this time of year is to get healthy. And if you've been wanting to find a way to make healthy easier, then Plymouth-based personal trainer Healthy Obsession has some tips to get you started. You've been here before. Maybe resolving to create a healthier you has become a New Years' tradition that is quickly forgotten by the 1st of February. Or maybe this is the first year you want to get serious about health and healing. Wherever you are, there are some simple tips that can help you be successful in 2018. Having a plan, specifically a food plan, is like wearing blinders in a race. No distractions, just run the path in front of you. Easiest way to win with your body. When you fail to plan, you plan to fail. And while this is a quote popular in business circles, it's true when it comes to creating your healthy lifestyle, as well. I encourage clients to make a plan each week and stick to it. This includes menu planning every week and committing to meal prep at the start of the week. How does this help? Having a plan on those crazy, busy days helps eliminate the temptation to grab your lunch from the drive-thru. When you've planned out each meal and executed it through meal prep in one day, you are ready to experience your healthiest week one week at a time. If you're like most of us, you tend to start with the scale. What do you weigh? How can you lose weight faster? But what if I told you that the number on that scale doesn't give you the whole picture? Here at Healthy Obsession, I work with clients to reset their thinking and focus on planning, healthier choices, and workout routines that work for them while getting them to their goals, instead of solely focusing on the scale. The results? Most clients still drop that number on the scale all while focusing on healthy choices that make them feel great. A better fitness game plan will mean a better outcome for your health goals. Choose a fitness plan that works for you, accounts for any injuries you may be facing, and that works efficiently with your body. I typically custom design strength training routines that incorporate the best exercises for quick results. And an added bonus for Healthy Obsession clients? 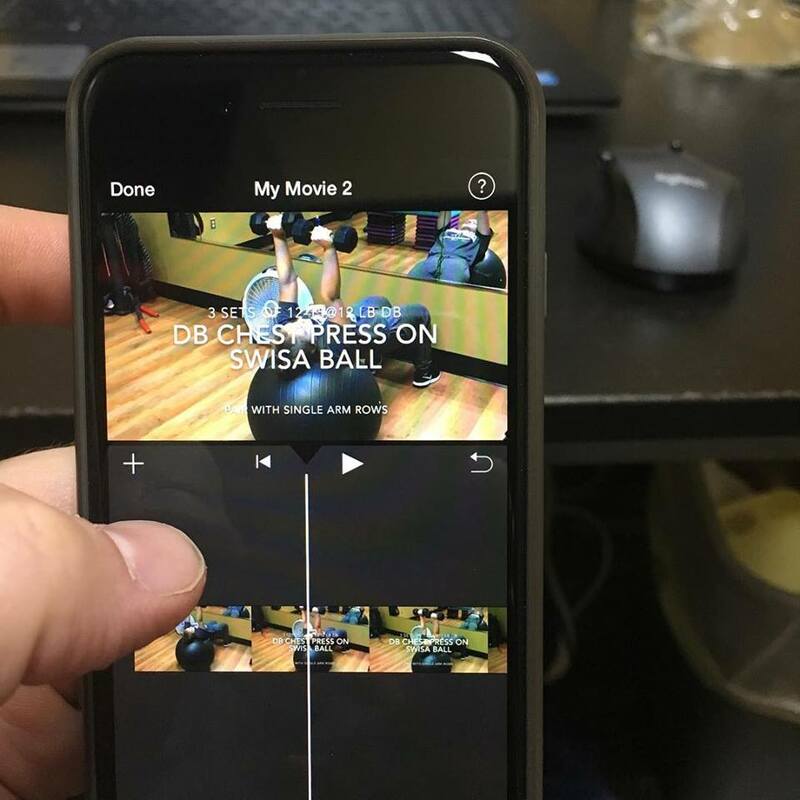 Video recaps so they can keep their fitness routine up between training sessions. Sometimes the best way to make progress on your health goals is to find someone who can help you focus and help with developing your new heathy life plan. Here at Healthy Obsession, I meet with clients in their homes or at Anytime Fitness in Champlin and customize a health and fitness plan you can execute to get and stay healthy one week at a time. Plymouth Personal Trainer Healthy Obsession Maintain Challenge is Here!